Peter Tufts House, one of oldest homes in Medford, Massachusetts, located at 350 Riverside Avenue, is currently for sale. 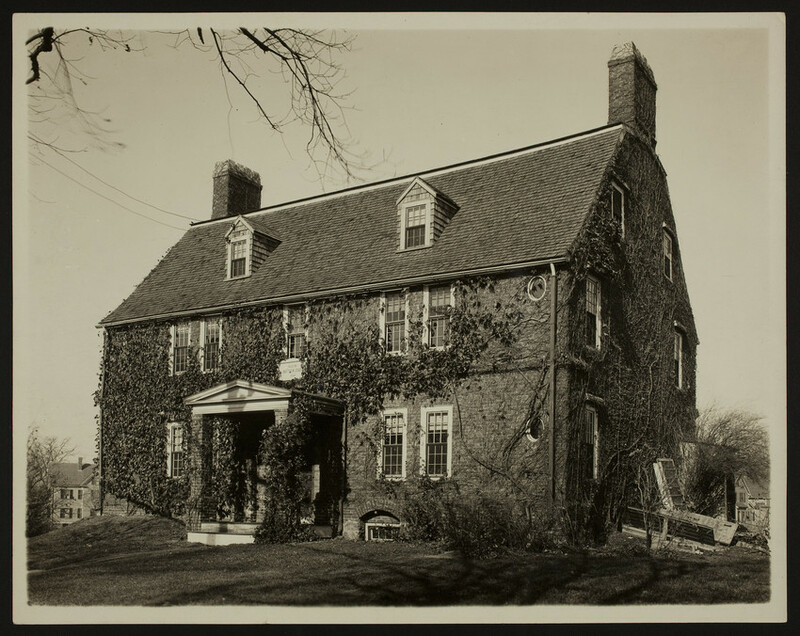 Thought to be built by Captain Peter Tufts for his wife, Elizabeth, and his daughter, Anna, the house dates to 1683 according to dendrochronology. Peter Tufts was captain of the military company and Medford’s first representative to the General Court. Medford was well known for its brick production, and Tufts House is most likely built from bricks produced at Peter’s father’s brickworks. The house is two stories tall and two rooms deep, with one of the earliest documented gambrel roofs known in New England. After standing vacant and in disrepair for many years, the property was purchased by General Samuel C. Lawrence, owner of a distillery, in 1887 to save and restore as a wedding present to his daughter. Following the Lawrence family ownership in 1926, John Warren and J. Edward Gallagher considered converting the house into a multi-family dwelling, which raised concerns of preservationists led by Historic New England’s founder, William Sumner Appleton. Historic New England acquired the house in 1930 and sold it in 1982 to the Medford Historical Society, subject to perpetual preservation restrictions. The house retains its original stair and framing, as well as features from the nineteenth-century restoration, including interior woodwork, flooring, plaster, and fireplaces. Because of its historic significance, Tufts House is listed on the National Register of Historic Places and is a National Historic Landmark. Interested in purchasing this historically significant property? The listing agent is Louise Ivers at Coldwell Banker. Contact her at [email protected].